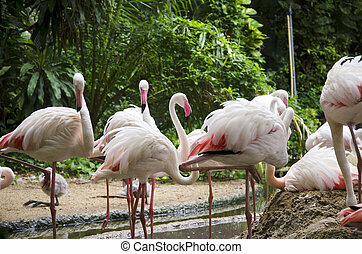 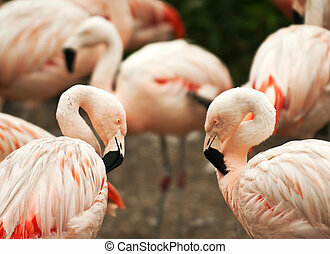 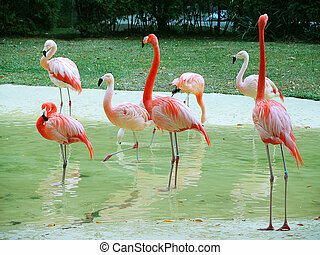 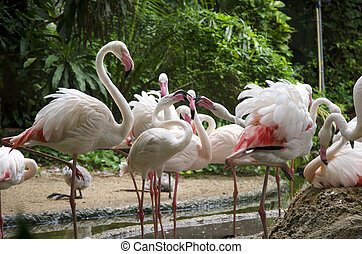 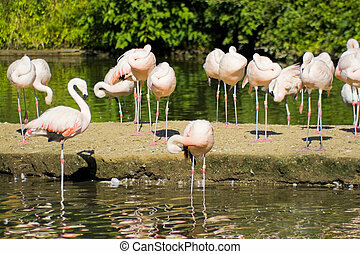 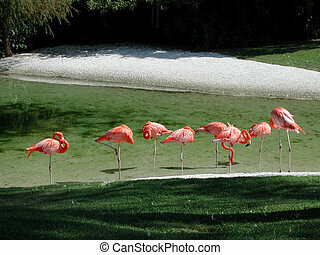 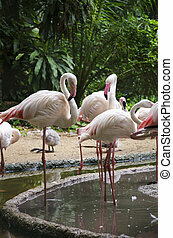 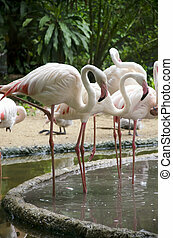 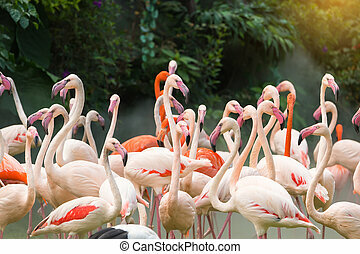 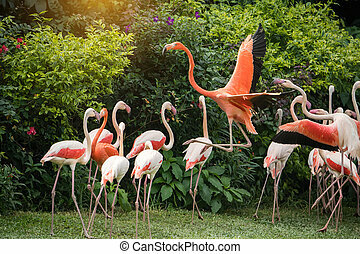 A group of pink flamingo birds in the water. 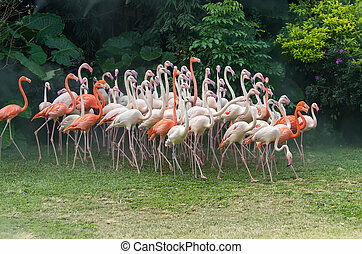 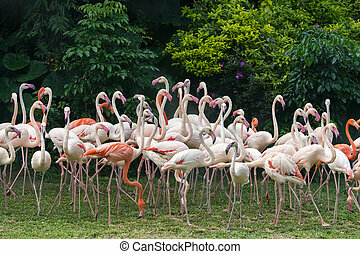 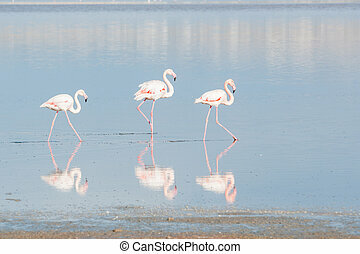 Group of flamingo birds at the Salt lake of Larnaca in Cyprus. 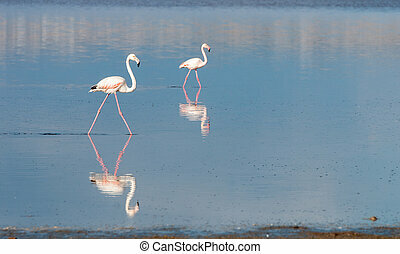 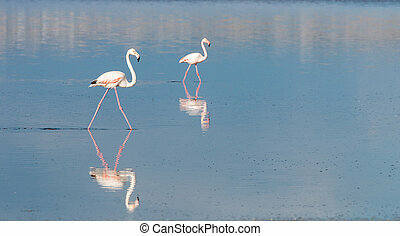 Group of flamingo birds reflected on water at salt lake in Larnaca, Cyprus. 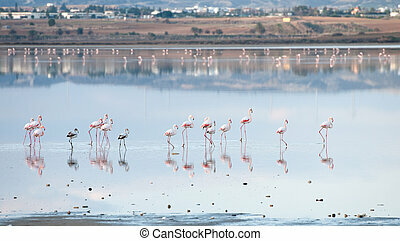 Group of Flamingo birds in the Salt lake of Larnaca, Cyprus. 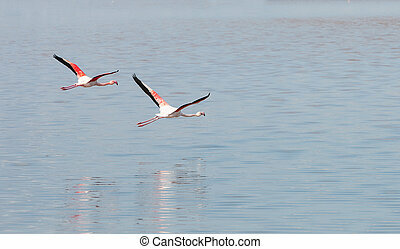 At the back is the famous Hala Sultan tekke muslim mosque.